Tanzeem Hassan was born in 1952 in Lahore. 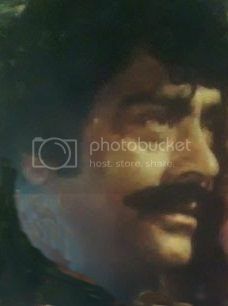 In 1972, renowned actor Iqbal Hassan produced a film Badley Gi Duniya Sathi in which he introduced his younger brother Tanzeem Hassan as side hero with Muhammad Ali, Zeba and himself. Afterward he kept on appearing as a supporting role but was unable to make place as lead actor. A time came in late 80s when Tanzeem was almost the last choice of film producers. However in 1983, when his elder brother Iqbal Hassan who died in a road accident with actor Aslam Pervez, Tanzeem Hassan once again got an opportunity to fill vacuum of Iqbal Hassan. Tanzeem Hassan was casted in many films but again he was unable to prove his worth and remained supporting actor with lead actors like Sultan Rahi till end of his film career. Some of his films are Jeera Blade, Khushiya, Malanga, Ghabroo Punjab Da, Muhammad Khan, Majhu, Janbaz, Tohfa Piyar Da, Jatti Da Veir, Choudhry Badshah, Sultan-e-Azam, Ik Din Sher Da and Chhupay Rustam. Tanzeem Hassan got married but have no children. For almost fifteen years Tanzeem was suffering with chronic ailments and had no permanent source of income thus was spending his life from hand to mouth. Tanzeem Hassan died on May 29, 2017 in Lahore. Since he was issue less so only left behind a widow and was buried in Miani Sahib graveyard Lahore.